Heading somewhere for Spring Break, but worried about the plane ride and keeping the kids entertained and your sanity intact Traveling with my kids became MUCH easier when we added iPads to our arsenal. They are a recent addition to our traveling backpacks, though. When the kids were little we had many different tricks up our sleeves. LEGOS. 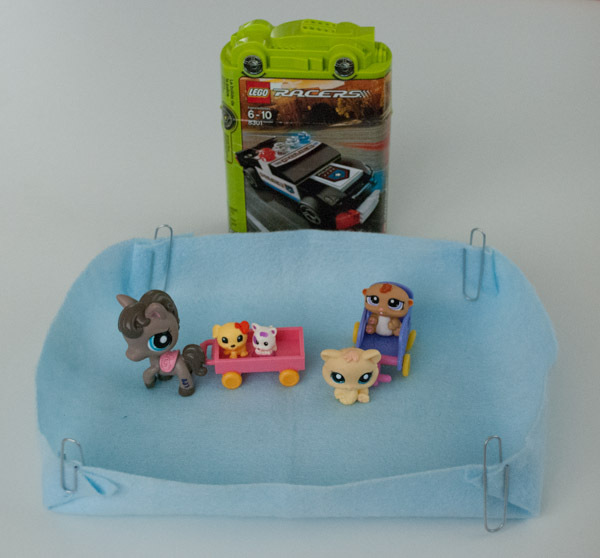 We bought little packs of LEGO kits and made this carrier by gluing a few flat LEGO pieces on the top of a small box. 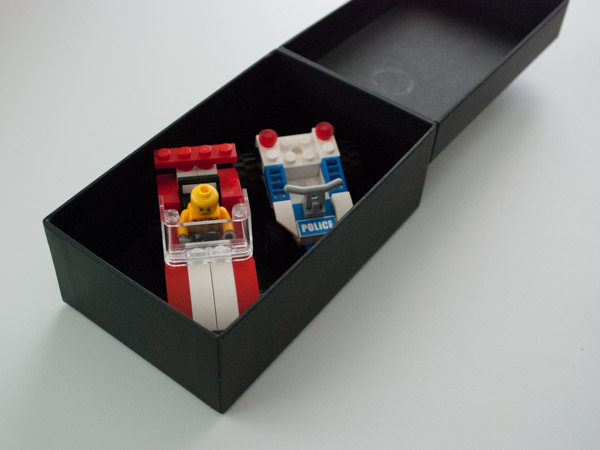 The kids could build their kit, play with it on top of the box, and store everything inside. I added a piece of felt and four paperclips to the kids travel backpacks. This helped corral the little Lego or Little Pet Shop pieces. 2. Fun Snacks. Special treats not commonly found in our cupboards. 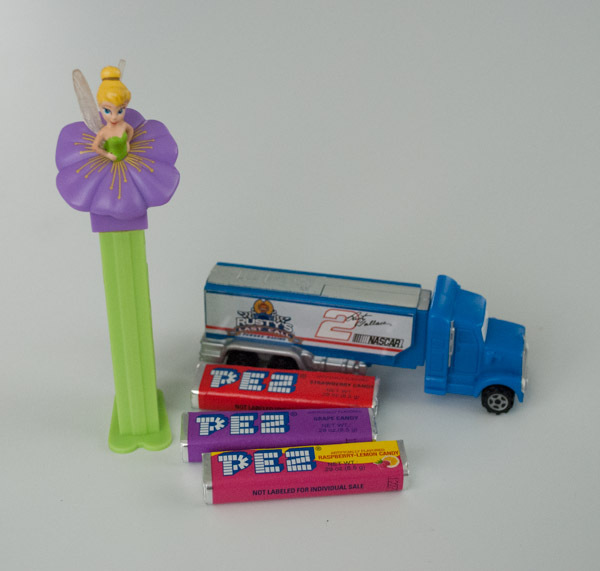 Lollipops and Pez were instant winners. 3. 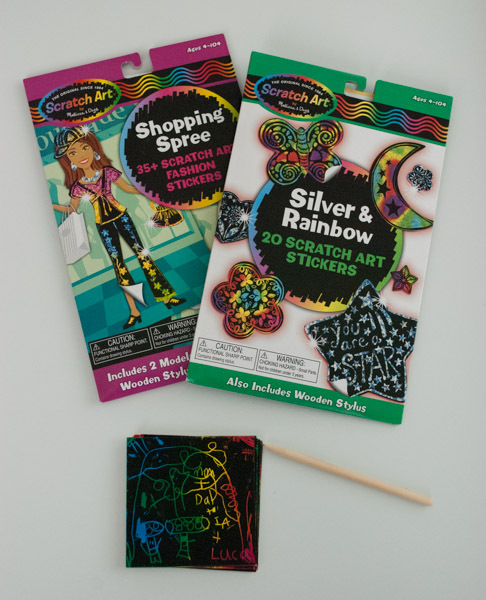 Scratch Art by Melissa and Doug. The kids made artwork and played Tic Tac Toe. 5. 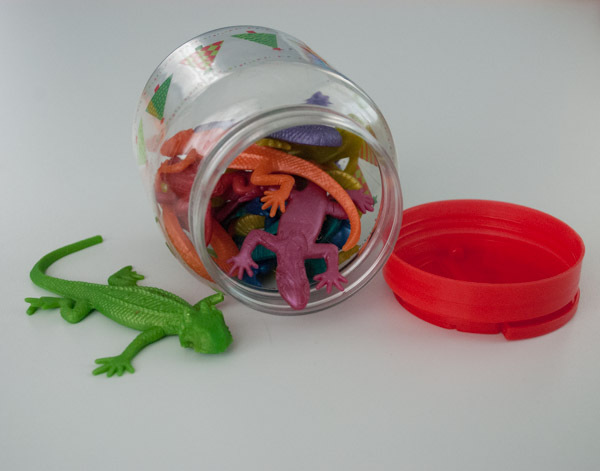 A plastic jar filled with small animals or cars. 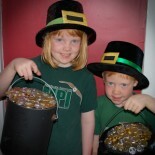 This one worked whether we brought familiar items from home or filled it with new ones. 6. 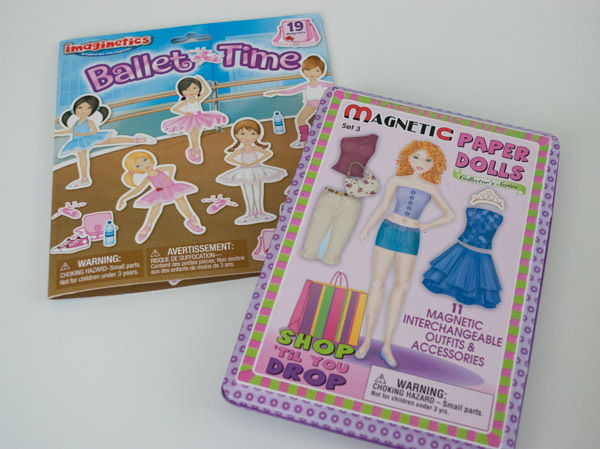 Magnetic kits such as this dress up doll. This might not have held my kids’ attention at home but worked on the plane. 7. Small containers of Play Doh, Play Foam, clay and Silly Putty. 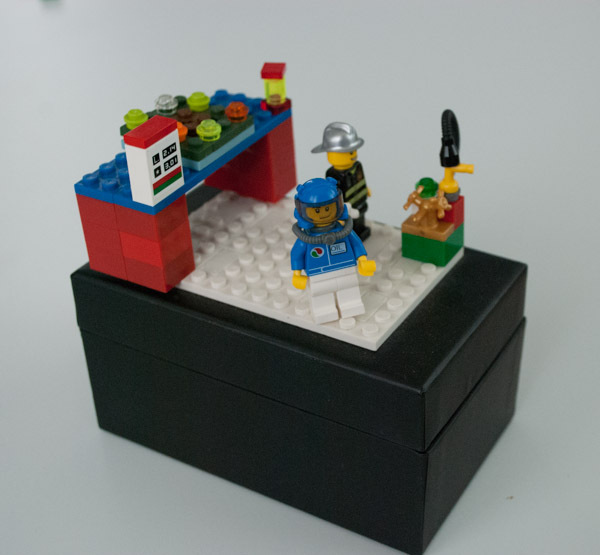 Add a small plastic knife and ask your kids to make food for a restaurant. Curiously, Play Doh was taken from us once in airport security. Be sure to check the airline’s current list of prohibited items. 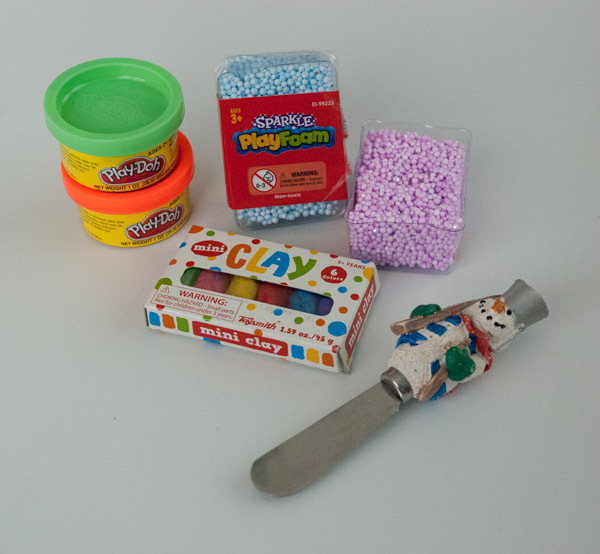 Play Doh is not prohibited but the screeners can use their discretion, since prohibited items can be camouflaged these. 8. 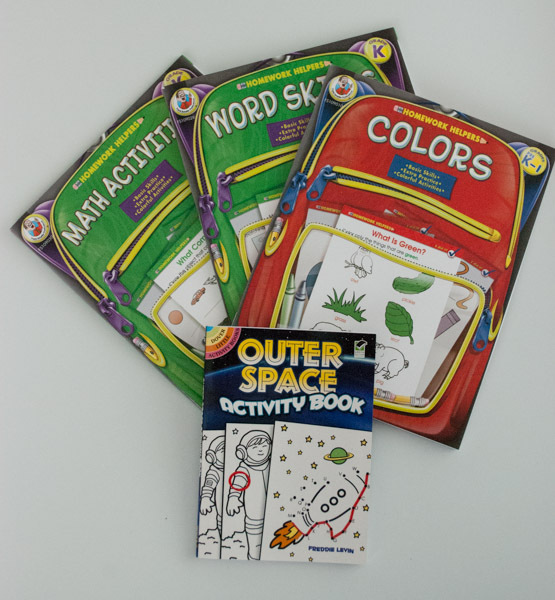 Sticker books and other activities books. I found age-appropriate books at Costco once. The kids do not use workbooks at school so the novelty worked like a charm. 9. 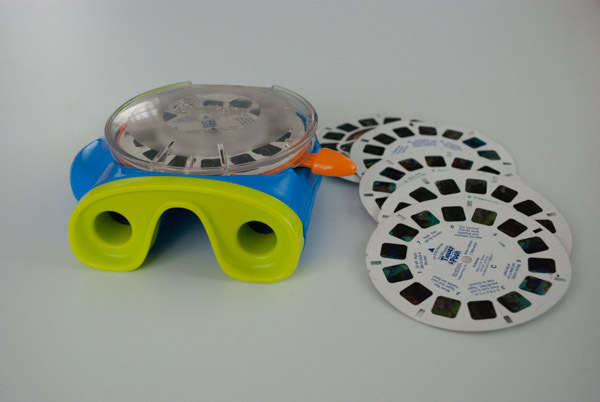 A View-Master and a few different reels. My kids had never seen anything like this and were blown away. 10. 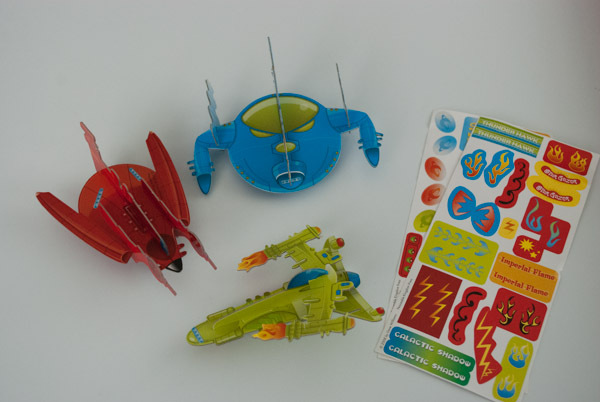 Galactic Spaceships by Peaceable Kingdom. While Isabella worked on the magnetic paper dolls, Luca enjoyed these ships with interchangeable pieces. 11. 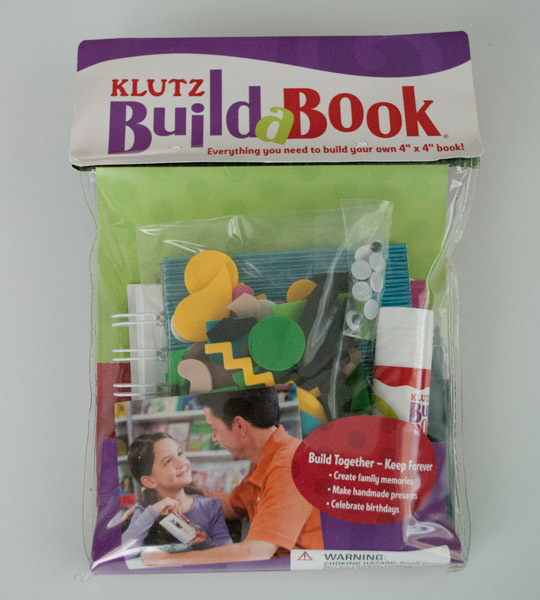 A Build-a-Book kit by Klutz. Mom even got in on this one. 12. 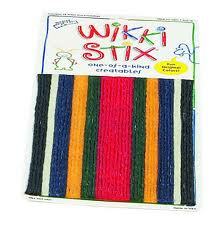 Wiki Stix. I couldn’t imagine this being interesting to the kids but bought it on a tip from a friend. It was a hit! 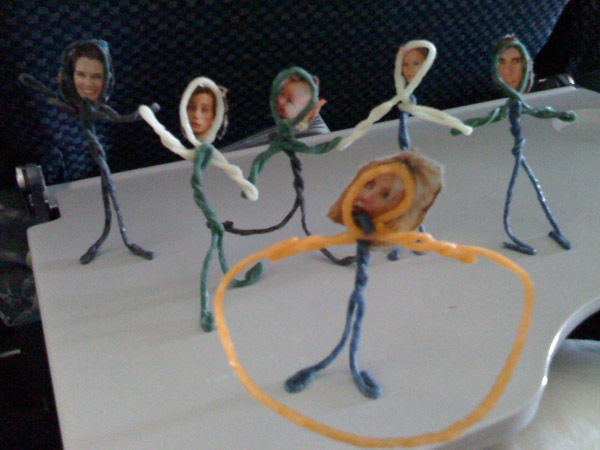 Isabella made many “people” and we added faces torn from a magazine. My kids are older now and are content to sit for hour with snacks, iPads, books and a toy or two. We’ve learned to pack external batteries and headphones in each child’s backpack. I fondly remember the days of traveling with small kids. I hope you find a few of these tips helpful! This entry was posted on March 22, 2014 by mdaucello in Family Fun, Tips and tagged tips for airplane travel, travel, traveling with kids.